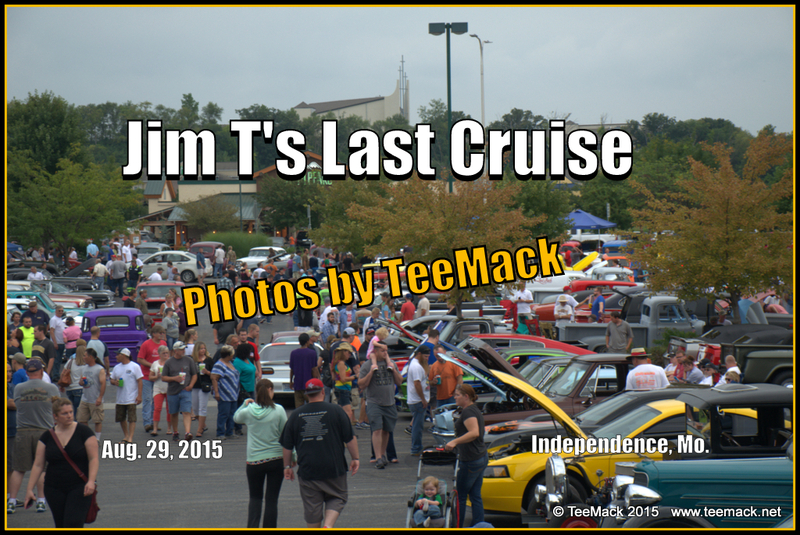 Jim T's Final Cruise was held on Aug. 29, 2015 at the Heartman's Heritage Center in Independence, Mo. History will show that it was the single largest attended Cruise in the entire Kansas City Metro area. Almost 3000 Cruisers packed the Heartman's Heritage Center and the adjacent parking lots of all the business on the Southside of Jackson Drive. Cruisers from all over Kansas, Missouri, Iowa and Nebraska came to celebrate the final Cruise for Jim T. Jim T, Denver and Dave have hosted the weekly Saturday cruise during the spring, summer and fall for over 5 1/2 years. From it's humble beginning of 25 vehicles to the Final cruise with almost 3000 vehicles. Many friendships have started because of this cruise. It will be missed. As I like to say, "It's the end of a great book". 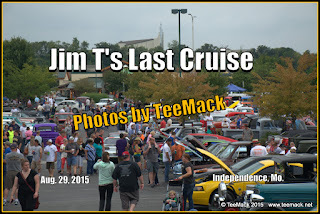 Will there be another book entitled "The Return of Jim T's Cruise"? No one knows. Click here to view the photos of the final cruise.